The Consolidation was the most popular wheel arrangement in North America. 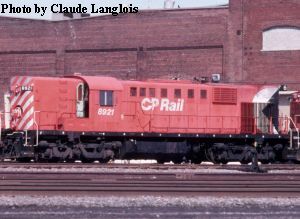 Both CN and CP had large numbers of these locos for both branch and mainline duties. It offers a small loco for your short runs at the beginning. The Mikado is a good engine for those long-distance fast freight hauls. Overall a good general purpose loco. Again, both CN and CPR had versions of this wheel arrangement. Pacifics also saw double duty in Canada both as freight and passenger haulers. Canadian Pacific owned many, as did CNR. Both will be represented. 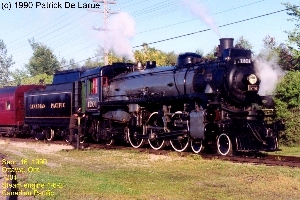 The Santa Fe type was for many years the most powerful locomotive in Canada. CPR used theirs mainly in the mountains, CNR used theirs all over. This loco will also be available in both CN and CPR liveries. The Mountain type is again one that was favoured by CN over CP. Like the Northern, CPR only had 2 4-8-2's, CNR had 74. This loco will also be available in streamlined (Shown) and non-streamlined versions. 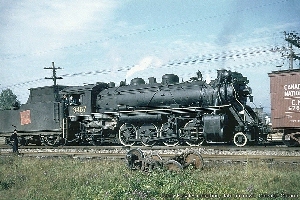 The 'Selkirk' type was the largest loco on Canadian soil. Canadian Pacific took the first order in 1928, second order in 1938 and the last 6 were ordered in 1948. 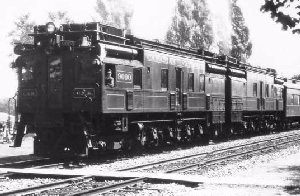 These locos were designed for hauling passenger trains over the Rockies. Will likely have streamlined (Shown) and non-streamlined liveries. 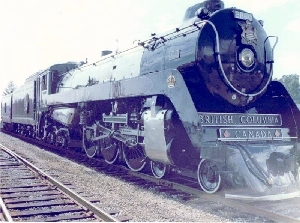 The Hudson type was Canadian Pacific's mainstay for passenger power in later years. 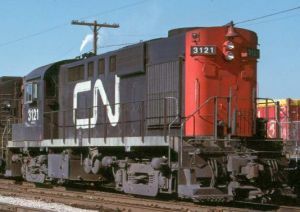 CN preferred the Northern type, only having 5 Hudsons. Liveries for this loco will be available in both streamlined (Shown) and non-streamlined versions. I originally intended only one class of Northern, but since there's enough space, I decided to split them. The streamlined U4a Class Northern shown here is part of a class of 10 that were built in 1939 to haul the Royal Train. 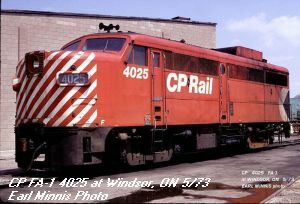 Looking for a locomotive to haul the new, lightweight "Chinook" passenger train, CPR looked to the past and the 4-4-4 design. There were 2 classes of Jubilee, the F2a Class (Shown) and the later built and more numerous Class F1a. 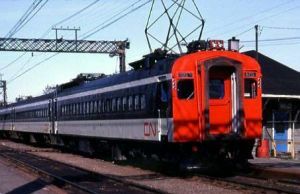 CNR had several boxcab electrics for passenger service around Montreal. The boxcab will be able to be used for both passenger and freight. The London & Port Stanley Railway had 3 boxcabs (No's L1-L3). These were different enough from the CNR boxcabs to warrant their own spot. Interurban lines around North America used these. There weren't many in Canada, but several railroads in Ontario and Quebec used them. Alot of industrial/mining lines had these as well. Interurbans were an alternative to the heavier, more costly steam railways. Running nice and cleanly between cities all over Canada, the interurban car became a standard sight. These cars are refittable to mail. goods, food and gold. Can haul an express car or 2 as well. In the 1950's, the boxcabs around Montreal were supplemented by a number of EMU's from Canadian Car and Foundry. These cars lasted in commuter service until 1995. By the 1990's, the older boxcabs and EMU's were wearing out. 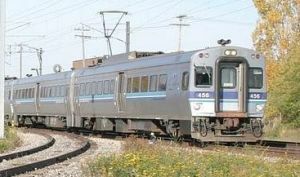 The Montreal Commuter Agency (STCUM) purchased a number of EMU's from Bombardier to replace the aging electrics. The Gas Electric car, or "Doddlebug" was a standard on branchlines from the early 1920's to the late 40's. They were built by several manufacturers. The one here is based on an Electro-Motive car from the early 20's. 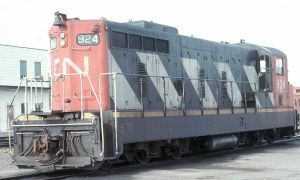 Canadian National had the distinction of owning the first mainline diesel in North America. No. 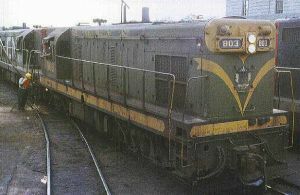 9000 was a two-unit loco that was eventually separated and both units were scrapped in 1946. It's distinction can't be overlooked however. After the 9000, Canada's railroads contented themselves with steam until ALCo brought out the S2 switcher. 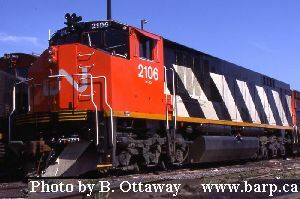 Both CN and CP purchased numerous units from both ALCo and it's Canadian subsidiary, MLW. 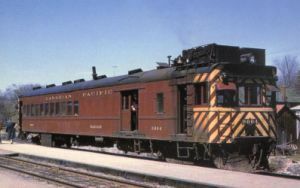 The Budd RDC (Rail Diesel Car) was a replacement for the numerous doodlebugs in the late 40's. Many still toil on in commuter service, VIA Rail actually still rosters 5 cars. MLW's answer to the FP7, these locos were designed for freight hauling. Lower costs than an FP7, they also have a lower top speed. 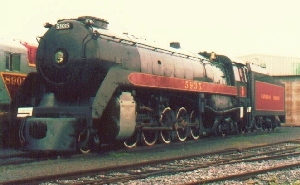 MLW's RS3, like its ALCO counterpart, was designed to compete with GMD's GP7. Owned by CPR, CNR, Ontario Northland and Pacific Great Eastern (BC Rail), the RS3 wasn't as numerous as the GP7/9, but nonetheless was a common sight on branchlines in Canada. The FM "Consolidation" line was about as popular in Canada as the Train Master was. 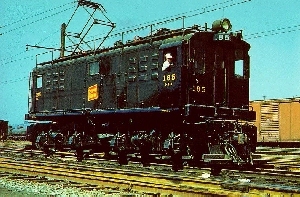 CNR purchased the Passenger CPA16-5 and the freight CFA16-4. CPR only used the freight version. 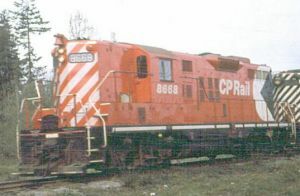 The GP9 was the most popular road switcher in North America. 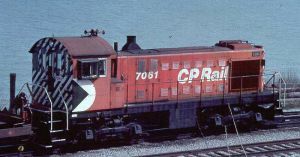 CN and CP purchased large numbers of these units as well as their predecessor, the GP7. The "Train Master" was Fairbanks Morse's "Big Engine". 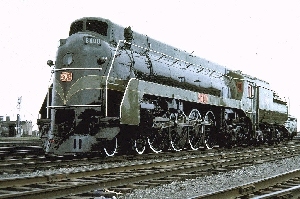 FM locos were built in Canada by the Canadian Locomotive Company in Kingston, Ontario. FM/CLC was always third place in Canada behind GMD and MLW. Only 21 Train Masters were sold in Canada. 20 to CP and 1 to CN. In the mid 1950's, a more heavy-duty switcher was needed. Both CNR and CPR had branchlines that were run by steam that needed to be replaced. The result was the SW1200RS unit. Distinctly Canadian, these units were switchers that thought they were road units. Able to reach speeds of 65MPH, these engines were at home both on the road and in the yard. The RSD17 was the Canadian version of ALCO's RDS15 - Only one was built. After demonstrating on BC Rail, CN and CP, this orphan was eventually adopted by CP and given the number 8921. She received a low nose in the early 90's, the "Empress of Agincourt" was retired in 1995. It currently resides at the Elgin County Railway Museum in St. Thomas, Ontario. Seeking to compete with GMD for the passenger loco market, MLW produced the FPA-2 and FPA-4 units, only CN received the latter. These units went to VIA Rail and were retired by 1989. 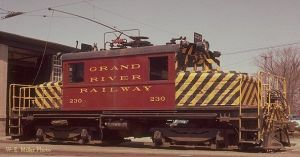 CN was in need of a light branchline loco in the late 1950's and turned to General Motors for the "Canadian" Roadswitcher. The GMD-1 was the result and could be seen all over the CNR from the praries to the East Coast to Vancouver island. CNR still has some of these locos on roster today. 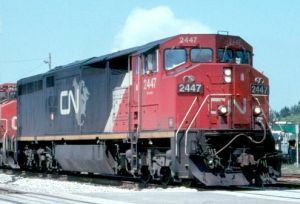 The C424 was built for both CN and CP. CN retired theirs by 1989, but CP's toiled on until 1999. MLW's answer to GMD's GP35, it enjoyed more popularity than it's General Motors rivals. First built for CNR in 1967/68, the Turbos were some of the first locos to go to VIA Rail in 1978 - and some of the first to be retired too. These trains were fast, however they weren't that reliable, leading to their early retirement. 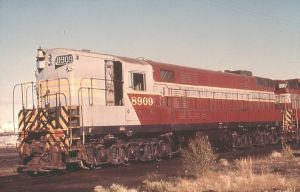 The C630M (And later M630) model was the first big diesel loco by MLW. 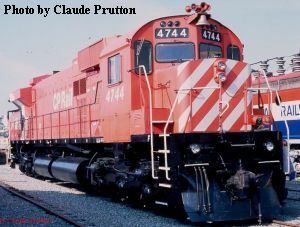 Sold in Canada to CN, CP and BC Rail, these big diesels were seen until their retirement in the mid 1990's. 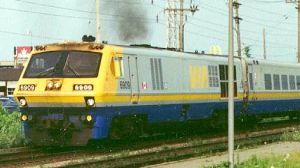 The M636 was Montreal's version of ALCO's C636. 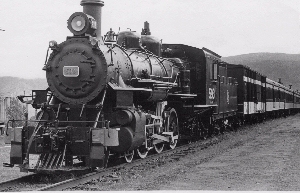 The M636 was purchased in Canada by CN, CP and the Cartier Mining Railway. 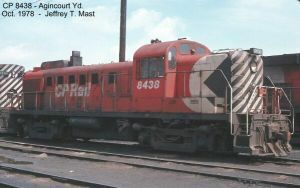 CPR had such bad luck with their M636's that aside from one M640 in 1971, they never purchased MLW again. 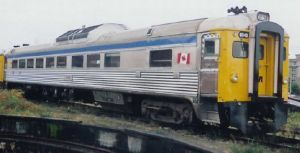 The M640 was an experiment between CPRail and MLW. The lone M640, no. 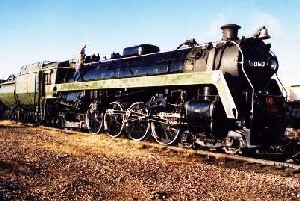 4744, was built on the end of CPR's last order of M636's. In later years, the M640 was used as a test bed for AC Traction, one of the first locomotives to be so equipped. It's preserved at the Canadian Railway Museum in Delson, Quebec. 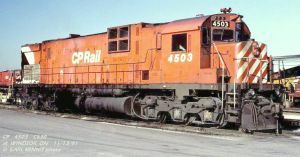 Canadian National was the only purchaser of the GP40/GP40-2 in Canada. Available in both wide cab and standard cab versions. 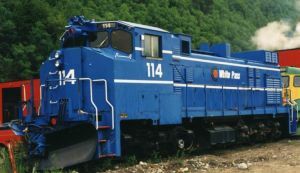 The MLW M420W was the first locomotive built with the now common "Wide Nose" cab. The M420W was a reliable locomotive, and many still live on on shortlines all over North America. 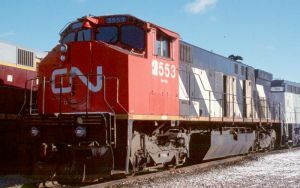 Canadian National and Canadian pacific both purchased the GP38-2, although only CN purchased the wide cab version. Many of these locomotives still remain on both railroad's rosters. 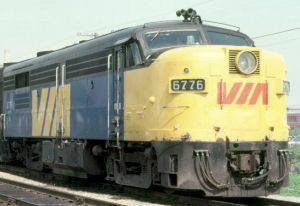 VIA Rail was created as a subsidiary of CN in 1976. In 1978 it became its own entity. Searching for a new train to capture the imagination of the public, VIA went to Bombardier, the successor to the Montreal Locomotive Works. The result was the 'LRC' - Light, Rapid, Comfortable. The LRC units lasted until the GE P42DC's arrived in 2001. They were the last mainline passenger ALCo-powered engines in North America. 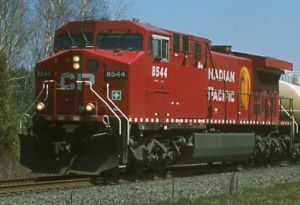 Bombardier and CNR developed the full cowl carbody on the HR616 (High Reliability, 6 axles, 16 cylinders) The carbody on these units (and all full-cowl Canadian units) is called the "Draper Taper". The carbody is slightly angled behind the cab to give better visibility. Amtrak originally received the F40 in the 1970's. 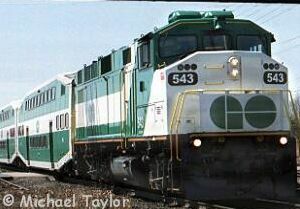 They didn't arrive on VIA Rail until 1987, when the second-hand FPA4's and most of the FP9's were retired. Paint schemes available will be VIA Rail. 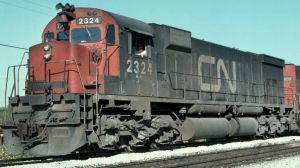 Canadian National purchased a number of 'full carbody' SD50 and SD60's from GMD in the mid 1980's. 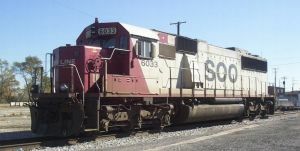 SD60's were also delivered to CPR's subsidiary SOO Line. Liveries available will be CNR 'SD60F' and SOO Standard cab. General Electric never really got a toehold in Canada until the 1990's. Aside from a few 44 Ton and 70 Ton models on CNR, Canadian roads never embraced GE. The main reason for this was all units sold in Canada had to have a certain percentage of Canadian parts. CN worked around this by having their C40-8M's (Full carbody) assembled at Bombardier's old plant in Montreal. Canadian National needed new power to replace its aging M630 and M636's. 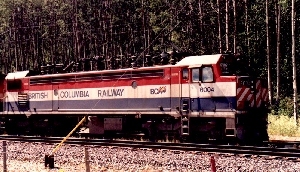 They purchased 26 SD70I units from GMD in 1995. 170+ similar (300HP more) SD75I units followed between 1996 and 1999. 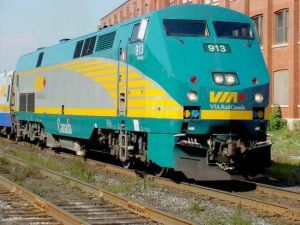 VIA Rail was needing new motive power in 2001 to replace its aging LRC units. They turned to General Electric for new power in the form of the P42DC. General Electric finally surpassed GMD in Canada in the late 1990's. 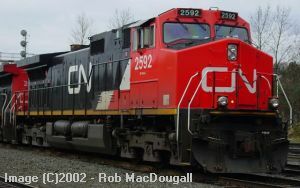 Canadian Pacific, who had never owned a GE diesel finally bit in 1998 with an order of 81 AC4400CW's. CP now rosters nearly 400. GE's 'Evolution' Series is the successor to the Dash 9. Intended to be both cleaner burning and cheaper to run, these units are the top of GE's line. 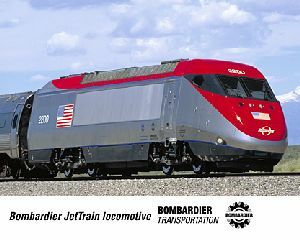 Bombardier unveiled the "Jet Train" a couple years back for high speed rail service in the US and Canada. No sales have been made yet, but it's very possible VIA Rail may invest in a few in the future. That said, the Jet Train will be in a variant on the VIA "Renaissance" scheme. A note on Canadian Narrow Gauge. By 1920, the only narrow gauge in Canada was the White Pass and Yukon Railway in the West and the Newfoundland Railway in the East. The Newfoundland Railway was taken over by Canadian National in 1949 when the province joined Confederation and was abandoned 40 years later. The White Pass was built during the gold rush in the Klondike and lasted hauling freight until 1982 when the mining industry collapsed. It was rejuvenated in 1988 as a seasonal tourist line. It currently runs over 40 miles of the original 110 mile route. *NOTE* At the moment, the Narrow Gauge for the Canadian Set will be designed for Arctic only. 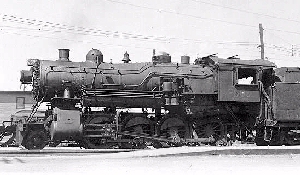 The Newfoundland Railway had a number of 4-6-0's, as did the White Pass. These small locomotives offer a cheap startup at the expense of power and speed. The Newfoundland Railway had a number of small Pacifics built for them by Baldwin in 1920. No. 593 (ex NR 193) is the sole survivor. 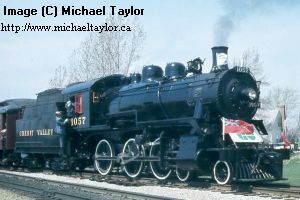 For freight service, the Newfoundland Railway had a number of Mikados, also built by Baldwin. These were also used on the White Pass & Yukon railway. 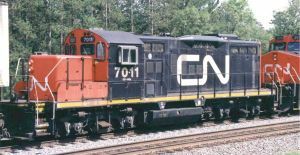 When CNR was looking to dieselize the 42" gauge Newfoundland Railway, they turned to General Motors. 9 'NF110's' were built between 1952-1953 and 38 'NF210's' were built from 1956-1960. 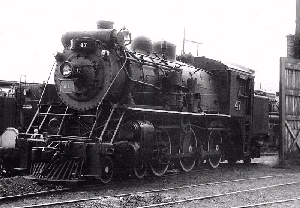 Also called "Mutant Geeps", these locos, along with the G8's killed steam on the island. The G8 was originally intended for export service, and was considerably smaller than the NF110/210's. Nevertheless, 6 G8's found their way to Newfoundland and lasted until 1988. 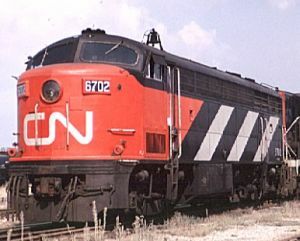 CN also had 5 standard gauge units. 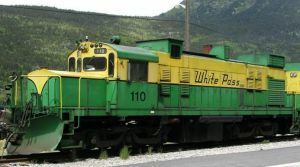 Looking for something to replace their steam locomotives, the White Pass & Yukon Route ordered a number of "Shovelnose" 50Ton diesels from General Electric. In both green and yellow and the later blue, these units were VERY distinctive. 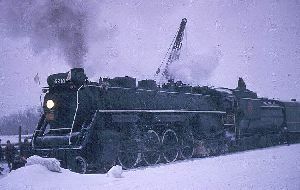 The White Pass and Yukon Railway was upgraded in 1969 and new power was needed. These units, tagged RSD35's, were ordered with ALCo and were completed by MLW after ALCo exited the locomotive building business. 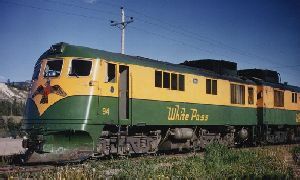 The White Pass & Yukon ordered four RSD35W (Wide-nosed) units in 1982. Shortly before they were to be delivered however, the WP&Y ended operations, so the units were stored. 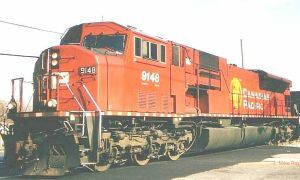 Three (#111-113) were sold to US Gypsum for their operation at Plaster City, CA in 1993. No. 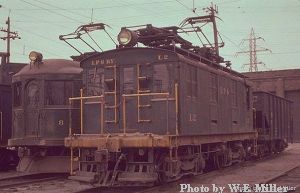 114 was finally delivered to the WP&Y in 1995 and is the last narrow gauge unit built for a North American railroad. Thanks to Owen Rudge for the hosting for this site, and krtaylor for the inspiration for the table design.